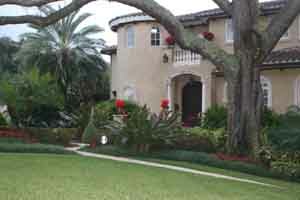 Our Orlando Landscape Clean up services are great in a pinch. If you are having a special event at your business, residence or other property issues, call us for a quote to resolve your landscape clean up issues. Our Orlando Landscape Installation services can handle any of your landscaping installation needs. In Orlando and throughout Florida Landscapes by Land Art continues to perform above our clients expectations. Please take a moment to view our image gallery to see a small selection of current and past projects. 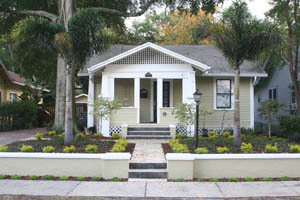 Please enter our Orlando Landscape Installation page to learn more about landscaping in orlando. Our irrigation installation and repair team is set to install or repair your irrigation system. Our irrigation team is set to ensure that your landscape is receiving the proper amounts of water to ensure its survival. 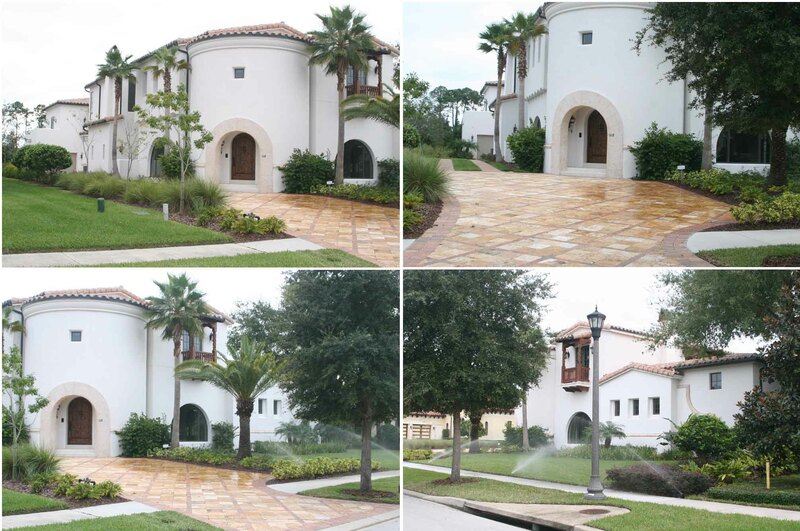 Please enter our Orlando Irrigation Installation and Repair page to learn more. 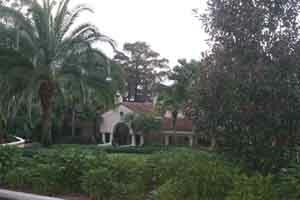 Our Orlando landscape lighting services compliment our landscape installation services. Landscape lighting will welcome you home in the evenings with a subtle glow. The safety that a well lit landscape provides is invaluable. Additionally, you will enjoy your landscape investment from the inside of your home with our unique landscape lighting techniques. Our Orlando pavers installation services offer a variety of colors, shapes and sizes of pavers for your landscape needs. 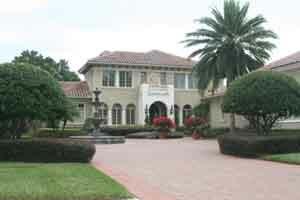 There are a variety of brick pavers in Orlando to select from. Our staff will help you select the proper paver for your needs and provide a professional installation that will last a lifetime. Our competitive pricing and spectacular installation of your new brick pavers will save you money and increase your quality of life. Our hardscape construction team pays attention to all of the details of your project. Shall you be contemplating a pergola, trellis, summer kitchen, wood fired pizza oven, walls, fences or any other hardscape element, call us to meet and discuss the design and construction of your outdoor living structures. 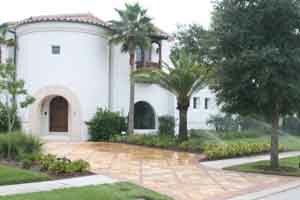 Please take a moment to view our hardscape construction page and learn more about our Licensed Genearal Contractor who will perform your Orlando hardscape construction project with his skilled craftsman hands. Our Orlando lawn maintenance staff will trip, prune, clip, mulch, check for irrigation coverage, repair and replace landscape light bulbs, and clean up your landcape as a regularly scheduled service. We prefer to think of our maintenance staff as gardeners as we care for your garden as if it were our own. Please take a moment to review our Orlando Lawn Maintenance page by clicking on the title link to this paragraph. Our miscellanous services can remove a dead tree, brush hog a vacant lot, power wash your drive or walkways or any other outdoor related service that you may need. Please take a moment to review our miscellanous services page by clicking on the Miscellaneous Services text title above this paragraph. Landscapes by Land Art offers Design services by a Registered Landscape Architect, FL.LIC #0001760. You may choose to meet with our landscape architect for a detailed design consultation. The importance of well thought out landscape design should not be taken for granted. When left to amateurs a landscape design most often results in a sloppy landscape that does not thrive and lacks appeal. Please take a moment to learn about our landscape design services by clicking on the Design Services text above to learn more. We offer this brief video of some of our recent work for your review. As you will discover, our projects stand out from the rest. We thank you for your time and consideration for your Landscape Services company of choice.